EtchArt books are now in! Can you imagine the importance of cooking together with your kiddos?! Beside learning about healthy foods, through playful process of preparing simple recipes kids feel more interacted with us, important and loved. I once was a super busy mom who worked 40 hours at a day job and who freelanced at night. Sabrina was 2 years old and she was staying at home with the grandpa. I missed seeing her so much and I felt like I didn't spend enough quality time with my child. On Saturday mornings I was usually preparing breakfast, while everybody was still asleep. One morning Sabrina brought her stool and asked if she could join me and help. That was it! That was the moment I realized how happy she felt from being part of breakfast preparation, how important and valued and proud she felt of her cracking the eggs all by herself and mixing and stirring and wiping off her messes. I instantly wanted to tell all of my close relatives how awesome that morning was for the both of us and more importantly, I was eager to hear stories of others of how they cook together with their kids and what is it that they are making. This was the begging of MirdinaraKitchen. 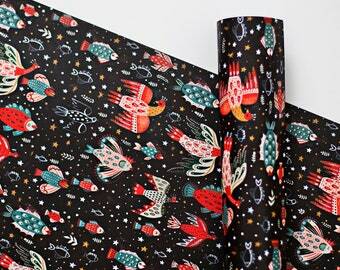 I am Dinara Mirtalipova - an artist, a fabric designer and an illustrator. I have been making tea towels for a very long time just for fun. I liked how by simply changing a tea towel you can easily change an atmosphere in your kitchen. So I decided to design twelve tea towels inspired by my origin and use these tea towels as my tool to create a community of people who wanted to share their stories of how they cook together. It is about making our relationship with our kids stronger, about building a bond through the language of cooking. It is just about kids and parents of all ages, from toddlers to those who are far in adulthood. 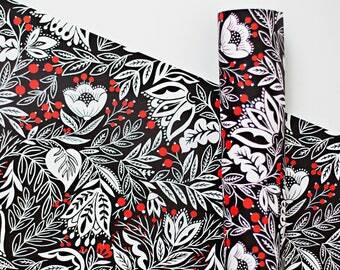 Every tea towels comes in a beautiful packaging. It is festive and totally gift-able. But there's more! Every tea towel will carry a collectible recipe card (4x6) . I'm Dinara Mirtalipova - an Uzbek girl and a self taught illustrator. With wide eyed curiosity, I feel like I'm forever swallowed in the world of folk tales and ethnic music. All the Giclee Prints sold at Mirdinara are printed locally with a help of a local Giclee Shop. Hello and welcome to Mirdinara.etsy.com. Please browse around let me know if there are any questions. My name is Dinara Mirtalipova and I'm an artist behind all the products listed in this shop. We happily accept all types of payments, that include Paypal and Credit Cards. All images on www.mirdinara.etsy.com are property of Dinara Mirtalipova and may not be used in any other form without the written permission of Dinara Mirtalipova.